Don't use online house valuation tools to set your asking price! Don’t use online house valuation tools to set your asking price! There are tonnes of house price data tools out there and every other company wants to give you their particular valuation. But who gives the most up-to-date and most relevant information? It’s hard to know which website or tool is the most accurate when there are so many on offer, and which one to choose or trust. So we’ve done the hard work for you and analysed all the top tools and websites that vow to help you evaluate your house price. When you click on an individual property there is a whole page of data on the property and the area where you can learn what similar properties in either the same road or similar postcode have sold for. Another great feature is the heat map function which visualises what particular segments of an area are hot and which are not in terms of average house price. This tool also offers heat map data on crime and burglaries in an area, which is more relevant for people looking to buy rather than sell, but is still a nice feature. You can also set-up house price alerts that will come direct to your email whenever an area or specific property you’ve selected has had a sale or value has changed. They also offer one free assisted valuation report per user which is a more in-depth analysis of your property value, but if you want to do more than one, then it will cost you £28 a month. Have you ever wondered what changes people have made to their house listings? With the free property-bee toolbar extension for ‘Firefox’ browsers you can. It simply shows how people have edited a listing on popular property marketplace websites. This is excellent information for potential house sellers as you can learn how asking prices have changed for properties that have been or are being sold in your area. This gives a flavour of market intelligence to indicate what kind of asking price to set for your home and what descriptions were effective or not. The Halifax house price index report is an in-depth press release updated every month to give an overall view of the UK housing market. It’s good for finding general trends in the UK and the economy, giving annual, quarterly and monthly changes of UK house prices and by house type. The report is static, which means users cannot interact with it and the data is not available for comparison. The data they provide does not break down to regional or local level, and therefore, is of low relevance to people selling their house. But gives an overall view of the UK housing market. Sometimes there are predictions of the housing market which can be helpful if you are considering selling your home fast. We decided to compare house price valuation tools online to the professional property valuations our assessors give after inspecting a property. We chose one property that we recently valued and checked the different tools online that offer valuations to see what price given was most accurate. Lloyds asks for the broad region, the house price valuation and what year and quarter that valuation was given. Then you choose which date to see how the house price has moved between them. Our selected property was valued at £288,500 in 2008 Q2. And Lloyds estimated the current worth would be £345,820 in 2016 Q1. With a change of 19.9%. Nationwide asks for the exact parameters as required by Lloyds in their house price calculator, as above. Nationwide estimated the current worth would be £344,032 in 2016 Q1, with a change of 19.04%. This figure was only slightly lower than Lloyds offered, which indicates they most likely use similar data. On Mouseprice, you can search for a specific property, unlike with Nationwide and Lloyds’ calculators which base the index on whole regions. Therefore, Mouseprice are able to give a much more tailored current valuation estimate. The estimated current worth of our selected property on Mouseprice was £657,900. Mouseprice matches recently sold house price data, to compare the lowest price and highest, to create an average for sold properties in the road of the property address searched. They check for current listings in that road and completed transactions to draw comparisons from in their data. Property Price Advice asks a set of five questions about the interior, exterior, the property details and any unusual features which they claim creates a more holistic property valuation. The calculation takes a few minutes, but the estimate is free and all they need is an email address and a few details. Propertypriceadvice.co.uk failed to deliver a valuation when we tested their tool on two separate occasions. Perhaps this was a website issue at the time, but it is worth seeing whether they deliver a figure for you. This website has a quick and free to use instant property valuation tool which asks the property address using a postcode, the reason you’re searching (like 'just being nosey'), any additional property information, and when “you’re considering selling”. Once you’ve given your email address and phone number, they give a broad estimate. Based on our randomly selected property, housenetwork.co.uk estimated a value between £539,000 and £751,000. This guide price is based on average house prices in an area, it also analyses based on size and condition of the property. This is a more general website, about current house prices in a broad postcode i.e. HG1. Under the 'prices and rents' tab, you can view current asking prices and time on market of properties in a postcode area, selling times, selling price reports and sold house price summaries. This is great for an overall, in-depth view of property values in your area. The sold house price data is by month and is a little dated, as when we searched it was two months behind current data. The best feature is the asking prices and time on market report. They break down average time on market by property value, by number of bedrooms and by property type. The estimated figure for our randomly selected property on home.co.uk was £485,590. However, this was the closest figure they could give using only the first part of a postcode and the average price of that whole area. Therefore, this is not as specific as other tools which use the whole postcode of the property being searched for. The Land Registry have two tools to research house prices. They have the House Price Index and Price Paid Data. The House Price Index tool is a little confusing to get to grips with, but it essentially lets you compare average house price between two local authorities. The locations are generally restricted to county level and again only detail the average house price of a broad area. The Price Paid data lets you search any specific property address or street in the UK and tells you the exact price paid for that property. The data is what powers Mouseprice’s tool, except Mouseprice include a current value estimation, whereas the Land Registry do not. To finish our analysis, our own valuation of the property in question was estimated at £560,000 by one of our qualified surveyors. This means that housenetwork.co.uk were in the right ballpark, but they gave such a general estimate, that prospective sellers would have no idea what price to list their property for. Mouseprice were £85,000 above our valuation and were therefore second most accurate, meaning house sellers would set their asking price too high and eventually end up lowering their listing. What is most revealing about this study is that both Nationwide and Lloyds were highly inaccurate, undervaluing the property by over £200,000. We must bear in mind both banks used very general data to provide a valuation, however, we would not advise basing your asking price on the results of their tool/calculators. 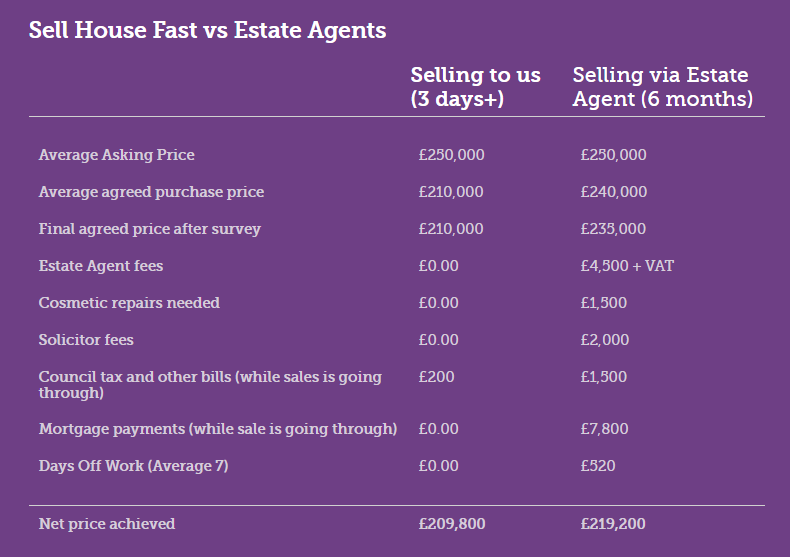 Of course, our property valuations are on average lower than what an estate agent would offer, but the table below explains why. To summarise, if you want a broad view of house prices in your postcode area we’d suggest using home.co.uk as they have a good depth and relevance of data. This can help you decide what kind of asking price to set and how long comparable properties are taking to sell in your area. 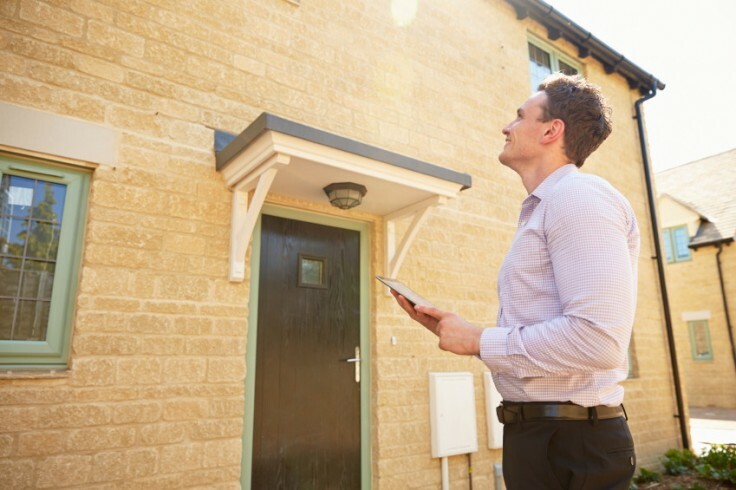 To get a more accurate view of what your house is worth, we always advise getting a professional surveyor to assess the true value of your home with an authentic inspection in person, like the service our qualified surveyors offer for free. So instead of wasting your time with online tools that sometimes get it completely wrong, contact us now for a true, no obligation valuation.